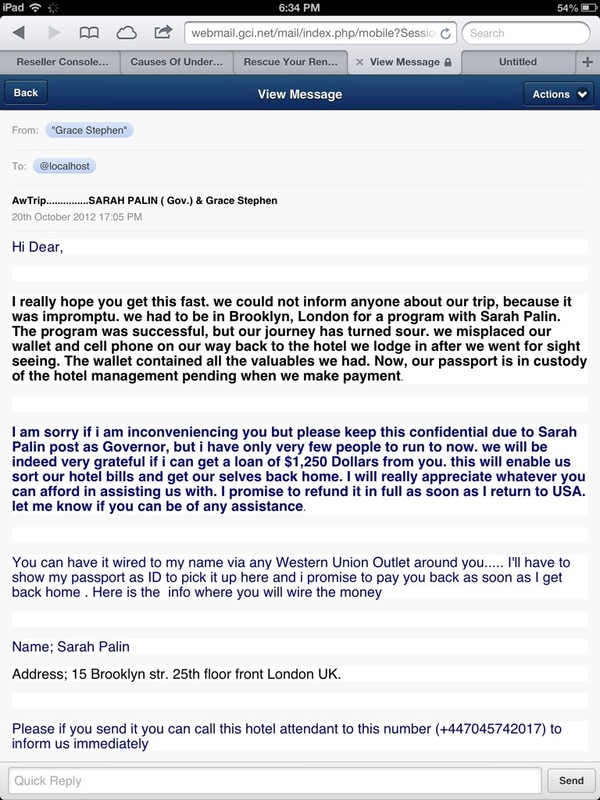 She should ask her buddy Sarah Palin to spot the cash. From one grifter to another. One day, this whole palin saga is going to end like the final scene of the movie The Grifters with John Cusack and two fantastic actresses. BWAAHAAHAAHAA!!! That is so funny! What a perfect scam on a grifter! I love it.